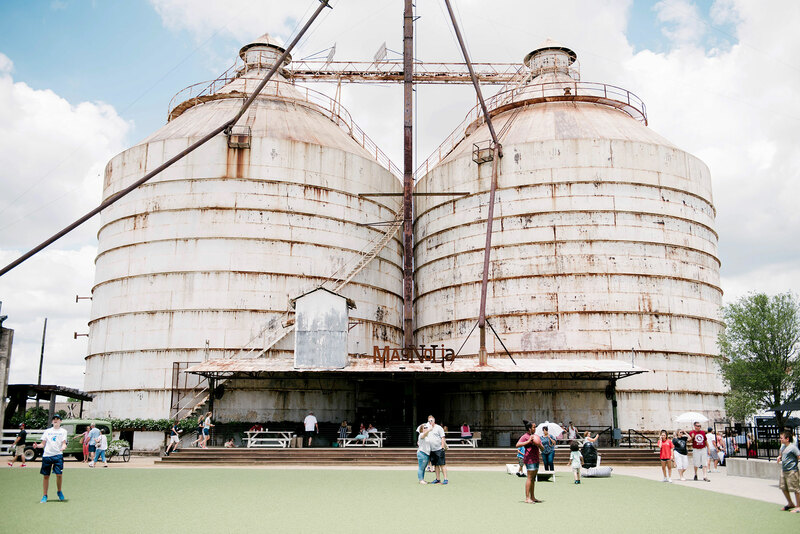 Waco sits near the center of Texas, and the town has become a center for tourism as well, ever since the 2015 opening of Magnolia Market at the Silos. Chip and Joanna Gaines, the creative couple behind the hugely popular HGTV show Fixer Upper, established this retail destination on a two-acre site that once housed a cottonseed mill. Today, the old silos serve as a welcoming beacon to visitors in search of distinctive home goods. And Waco’s convenient location, within a few hours’ drive from many of the state’s major metropolises, makes Magnolia an easy day trip for those in search of inspiring designs. Here, a cluster of buildings caters to shoppers’ various whims. A renovated grain barn shelters a curated selection of gift items and interior décor—such as linen-scented candles, seagrass baskets, textured throw pillows, geometric vases, stylish leather bracelets, and metal signs with motivational sayings—all in keeping with Joanna’s signature modern farmhouse style. Nearby, Magnolia Seed + Supply stocks everything needed to spruce up a yard, and many things you didn’t know you needed but probably can’t resist, like fairy garden accessories. Its well-tended raised beds offer a wonderland of greenery. But Magnolia is more than just a market. The Gaineses envisioned the site as a place for people to come together and spend quality time. At the heart of it all is a vast lawn, bordered by picnic tables and equipped with outdoor games like corn hole. A rotating cast of food trucks dishes up an array of tastes, and the charming Silos Baking Co. satisfies the sweet tooth with pastries, cookies, and other treats, some made from Joanna’s own recipes. New cupcake flavors debut throughout the year—including such tempting varieties as peach pie, banana pudding, and birthday cake. Annual events like Silobration in October and Christmas at the Silos give visitors a reason to return on a regular basis, and a trolley service provides free rides to the site from nearby parking lots. Magnolia has expanded beyond the Silos as well. The Gaineses restored a historic diner on Waco’s traffic circle and reopened it in 2018 as Magnolia Table, a daytime eatery with a breakfast and lunch menu focused on locally sourced and seasonal ingredients. That same year, they launched the Little Shop on Bosque at the original Magnolia Market location on Bosque Boulevard as an outpost for discounted merchandise. Plans for a coffee shop near the Silos are currently underway. Chip and Joanna’s knack for turning neglected structures into stunning spaces has led to the overall beautification of Waco, and their burgeoning business enterprises have given a boost to the economy as well, shedding light on local artisans and generating a boom in tourism. Thanks to their efforts, tens of thousands of people travel to Waco every week to see the town where Fixer Upper took place, and to pick up design tips during their stay. Magnolia has put Waco on the map as a destination for inspiration, one well worth the drive.